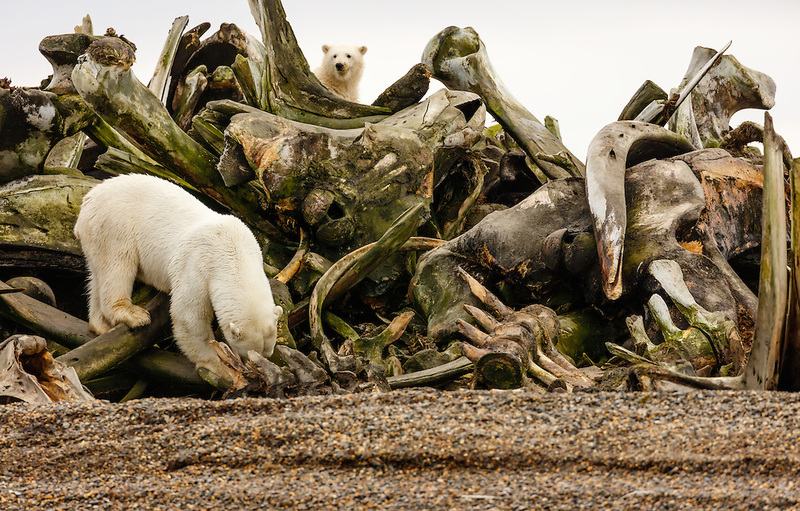 Mother polar bear (Ursus maritimus) and cub looking for scraps of food among the whale bone pile on Barter Island near Kaktovik in the Arctic National Wildlife Refuge in the Far North of Alaska. Autumn. Afternoon.